Changi International Airport- From Airport Boulevard, drive to city via East Coast Parkway (ECP) for approximately 14.6km. Take exit 15 to merge onto Rochor Road, and turn left to Bencoolen Street 2 km later. Continue onto Fort Canning Road 850 metres later and then, onto Oxley Rise. Continue to Eber Road, property is located on the right side of the road. 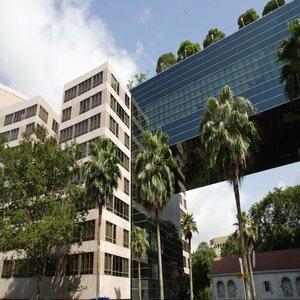 Lanson Place Winsland Serviced Residences are conveniently located near to Singapore famous Orchard Road. Close to commercial district and entertainment and shopping precinct, yet in the midst of lush greenlands and garden. There is a choice of 67 spacious and fully furnished Serviced Residences. Each created with a homely atmosphere with excellent facilities such as Broadband Internet, DID and IDD lines and Cable TV. For those who appreciate the easier lifestyle not found in five-star hotels but want quality and service, Lanson Place residences are ideal. Almost immediately, you have become a part of Singapore.